Doggie Daycare is So Much Fun!! Too often time commitments make it almost impossible for a pet parent to provide a daily walk, some exercise time or a real socialization experience for their pet. Many pets who are well behaved when their parent is home, become mischievous while they are gone. If you’ve ever come home to chewed furniture, shredded carpet, or housebreaking surprises…your pet may be the perfect candidate for K9 Activity’s Enrichment Daycare! When you walk in the door after a hard day at work, does your pet demand your attention and not give you a moments rest? Your dog may be trying to tell you, “I’m bored!” Without something constructive to do when you leave home, your furry friend will eventually find some source of entertainment!! And odds are, it won’t be something that is very entertaining to you! 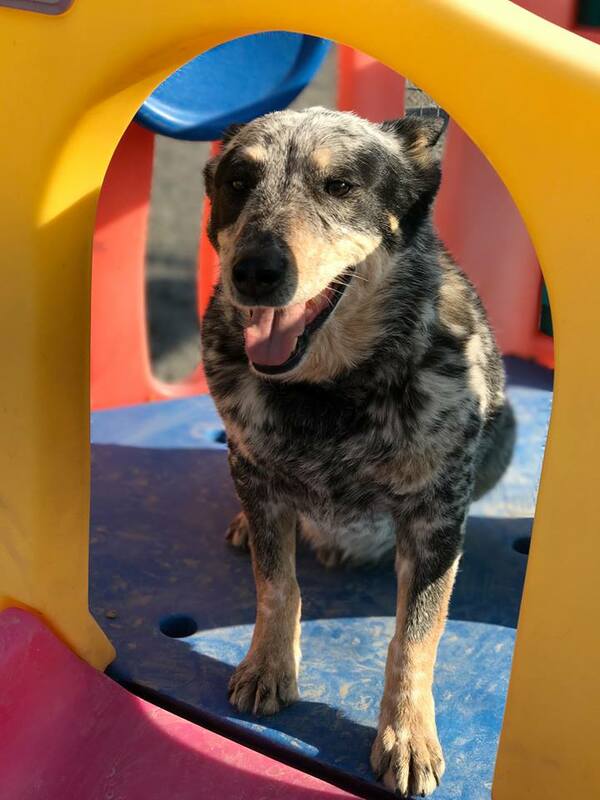 K9 Activity Club’s daycare is a unique experience for all dogs – we tailor each day to meet your dog’s needs; focusing on enrichment whether for fun, exercise or socialization. Our group and individual play options offer safe interactions and are leg by our knowledgeable staff. Social dogs can join carefully selected playgroups (of like-sized dogs) with indoor and outdoor areas. Each size group rotates thru 3 different yards so your dog will never get bored. Dogs stay active all day taking turns playing in the Dog Park with a cross country course and the Agility Field. We’ve also just introduced a special place for dogs under 30 lbs. – Littles Playland. Is your dog SHY? That’s okay… we have a special way with the “wall flowers” and let the join at their own pace. You’ll be surprised how social they can become! Additional enrichment options include: swimming in the heated pool, treadmill time, fetch, training games and spa time. To Start Off Right…Something Free! To Make Getting Started with us Even Easier – Take the First Step Now! 1 As our way of starting the relationship off right, we’d like to give you a free gift: Download our great article “Bad Dog or Bored Dog” to keep your dog safe and healthy – right now, for FREE! 2Go ahead and schedule your “meet and greet” tour. This time is set aside for us to meet you and for you to see the facility, your dog is welcome to come but it’s not required. We really want to get to know your dog so we can customize the best play plan for them and that’s why we don’t do PASS/FAIL tests. We’ll answer any questions you have and make it a snap to book your dog’s first stay with us. You can see first hand how much FUN all the dogs are having and how our professional staff takes extra care to make your dog feel at home! PLUS We are so sure your pooch will love it here, when the tour is over they get a free day pass. Activity is a key for health and happiness for humans and dogs alike. Check out the benefits…you might be surprised! Our staff are highly trained professionals who've passed certifications & achieved the highest standards for best practices for Animal Care, Customer Service, and Facility Management. Click the Icon above to see our credentials! Our mission is to provide world class, loving, 24 hour professional, on-site care for our guests. Cared for by a well trained staff with safe, secure fun for your furry family members K9 Activity Club is just the place for you.